The South Arm Multicultural Community Kitchen will be held at the Bethel Church while the South Arm kitchen is under renovation. We were very fortunate and thankful for Bethel Church’s generosity to allow us to use their kitchen. We love the kitchen as it is big and very well equipped. There are 6 washing basins in the center island. Minoo prepared four recipes for this kitchen. 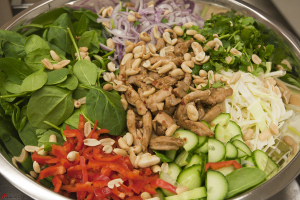 The first recipe is a Thai Chicken Salad with Spinach and Peanuts. This salad has a little kick with the hot chili flakes. 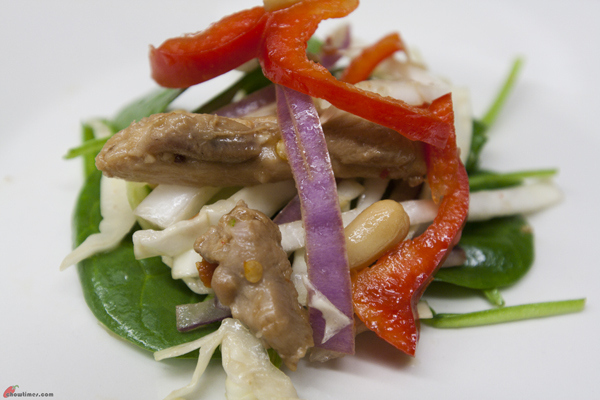 It is a combination of cooked chicken with raw vegetables. For the dressing, squeeze juice from lemon into a bowl. 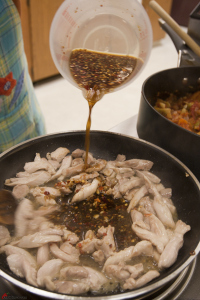 Stir in soy sauce, sugar, grated ginger, fish sauce, minced garlic and chili flakes. Lightly coat a large frying pan with oil and set over medium-high heat. 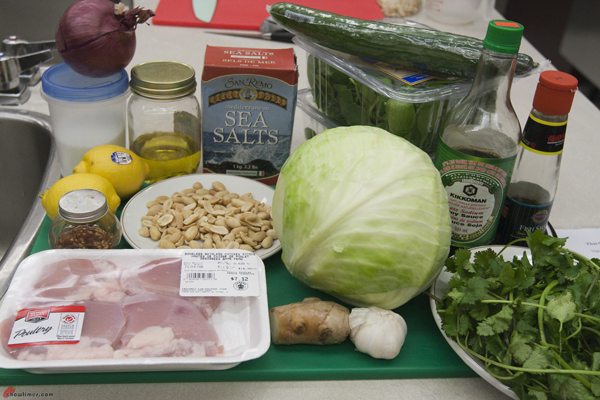 Add chicken and season with salt. 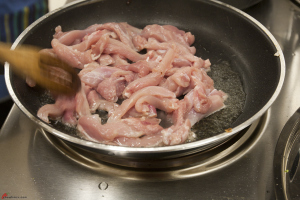 Stir often until chicken begins to lose its pink colour, 3 to 4 minutes. 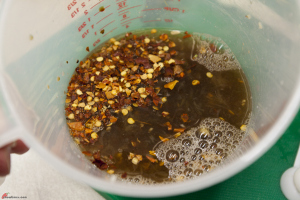 Pour in dressing. 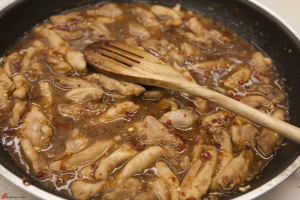 Stir often until chicken is cooked through, about 3 minutes. Let sit to cool a bit. 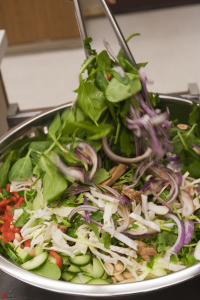 For the salad, combine the baby spinach, thinly sliced pepper, onion, cabbage, cucumber and chopped cilantro in a large bowl. Pour chicken dressing over salad. Top with chopped mango and peanuts. Toss to evenly mix and serve.